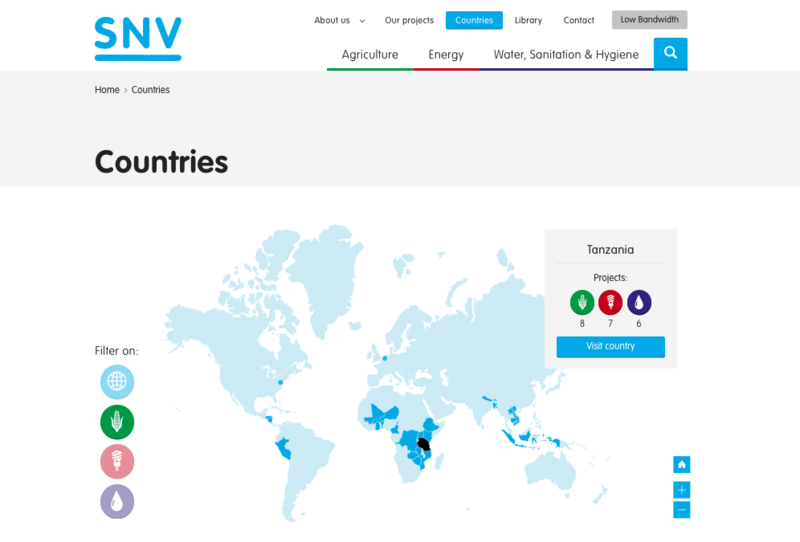 SNV is a non-profit international development organization with its headquarters in the Netherlands. Together with their partner, the Master Card Foundation they approached Smart Codes to develop, manage and maintain the “OYE web application” in Tanzania, Rwanda, and Mozambique. Smart Codes developed a highly dynamic and interactive web application that is informative, educative and entertaining. The platform allows youth to interact, post, upload and learn, as well as engage with market stakeholders in order to guide their career perspective and receive other relevant market information via social media and mobile phones. The platform also integrates the web with other social media and multimedia i.e. Facebook, Twitter, YouTube. Since the project is for 5 years, we supply development support for operation & maintenance of the web application for one year. We also monitored and maintained content and usage of the social media to remain ethical and relevant to OYE’s context for one year. "I could tell from the moment we had the first presentation to when out App was a reality. Smart Codes are the go to for every tech and innovative idea that seek to be unpacked and brought to life, from prototype, to the actual product".